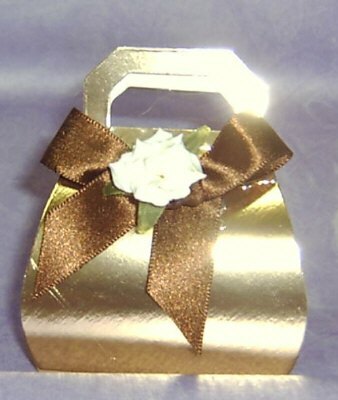 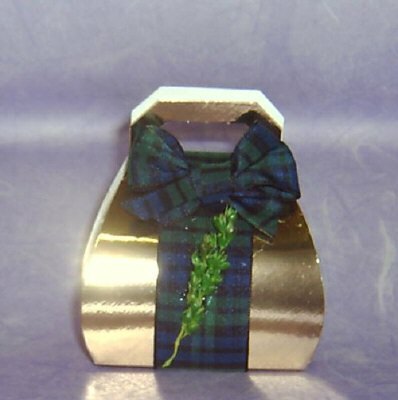 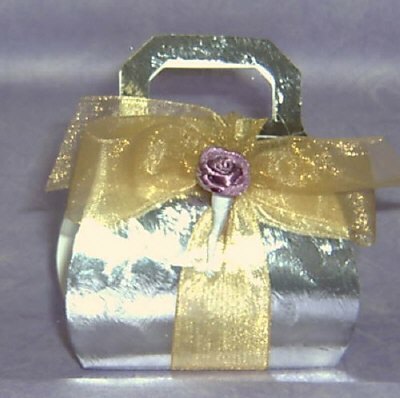 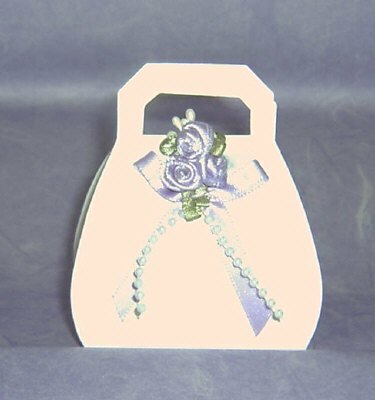 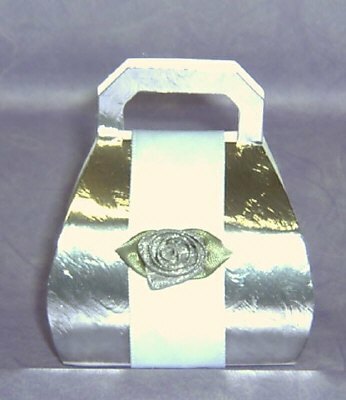 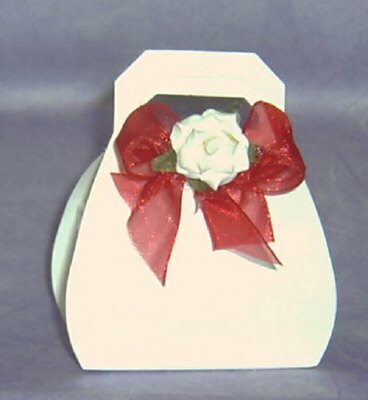 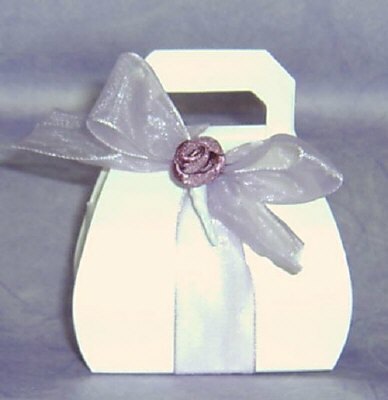 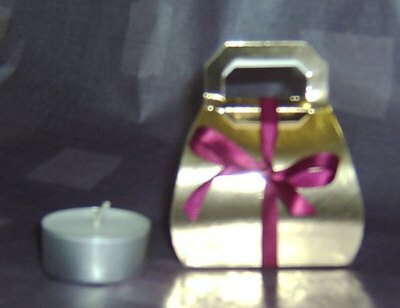 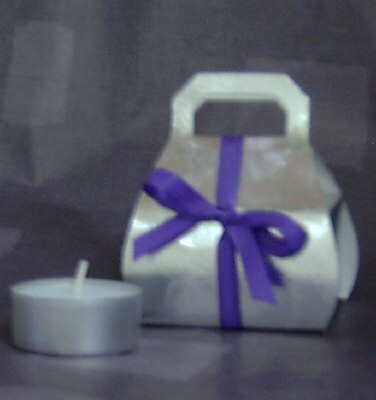 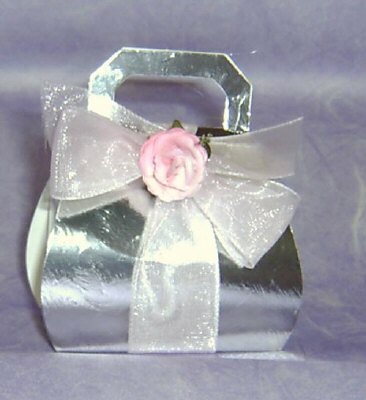 Gold, Silver , or White satin handbag shaped box Basic price includes either two tea lights or one church votive candle inside. 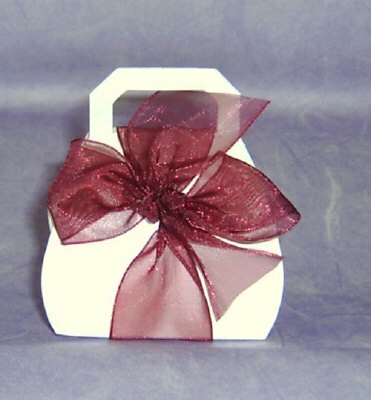 Ribbon Colour of your choice from list. 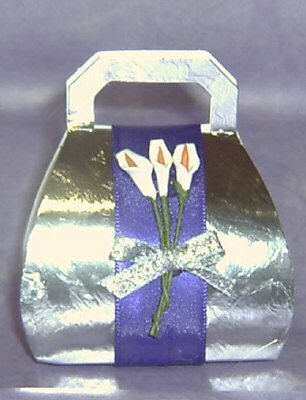 Flower & text label detail optional extras. 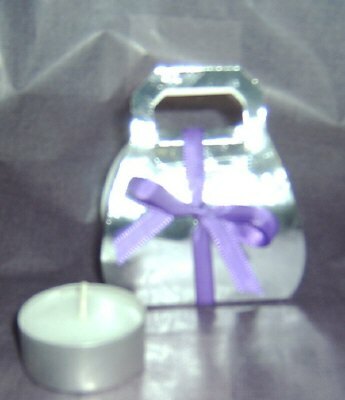 Overall size 5 cm wide x 5 cm high. 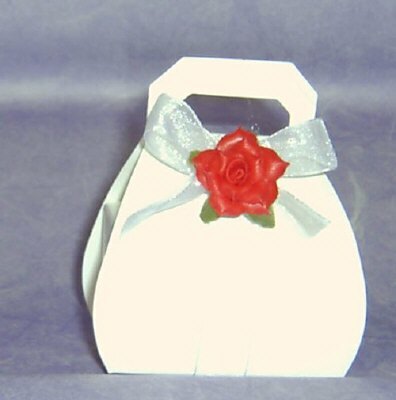 * Text label on bottom.